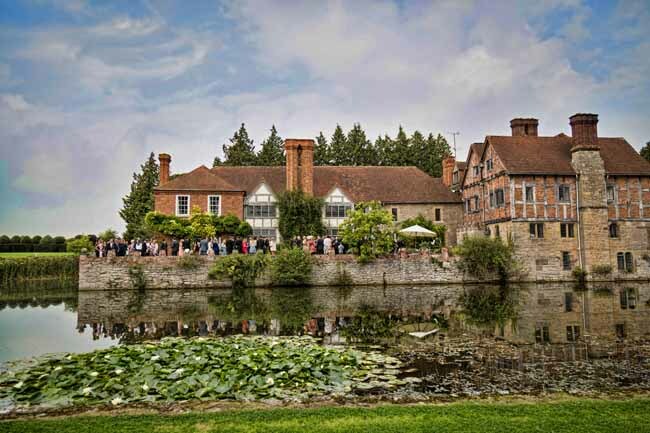 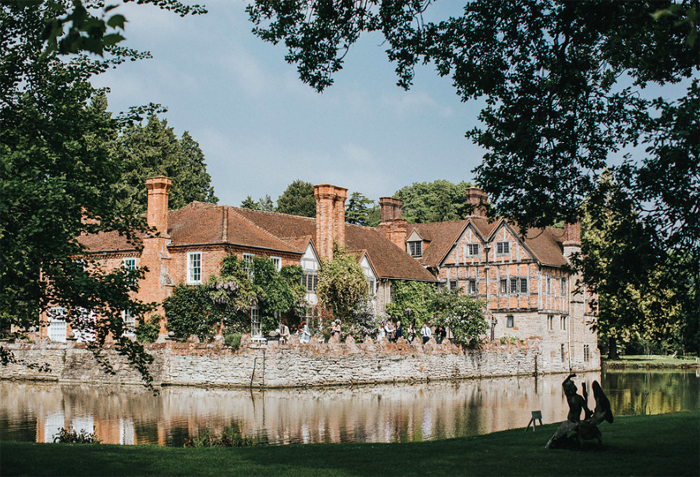 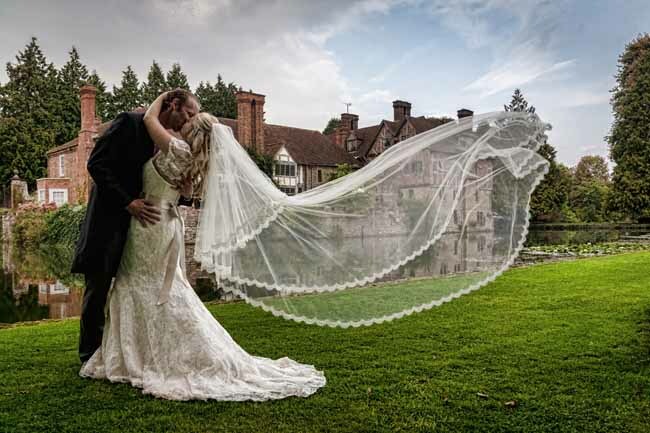 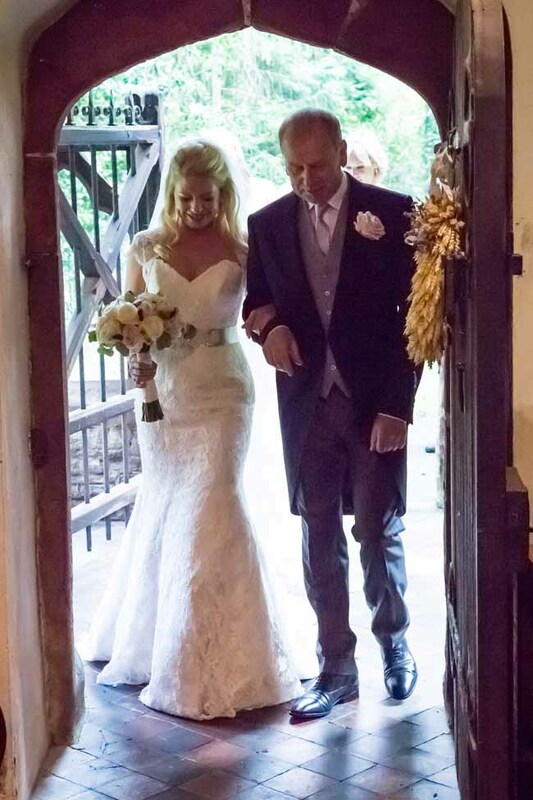 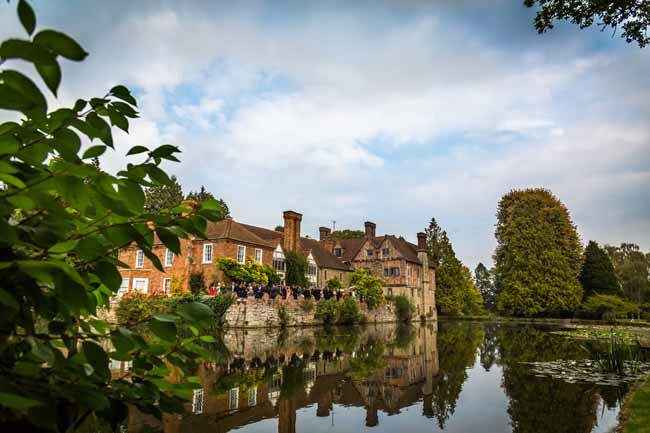 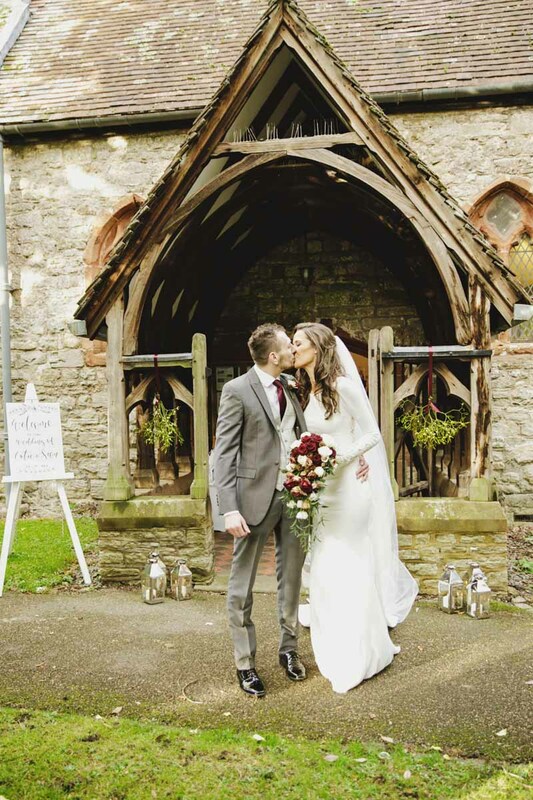 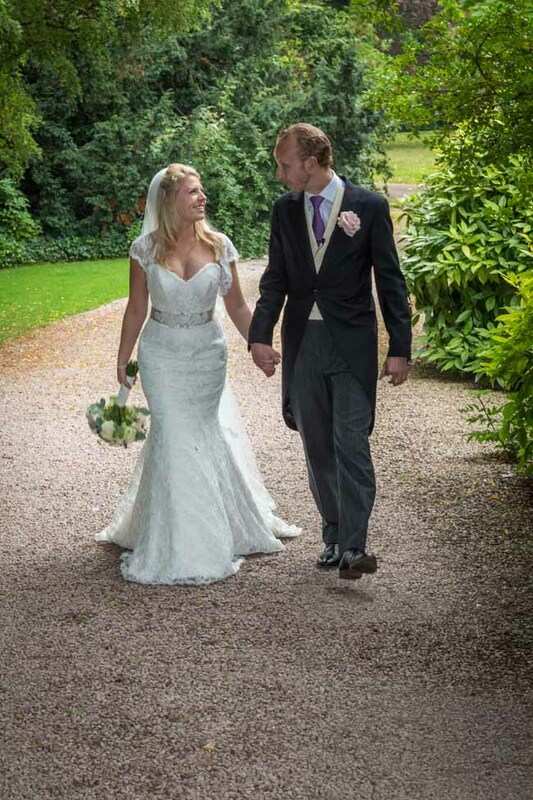 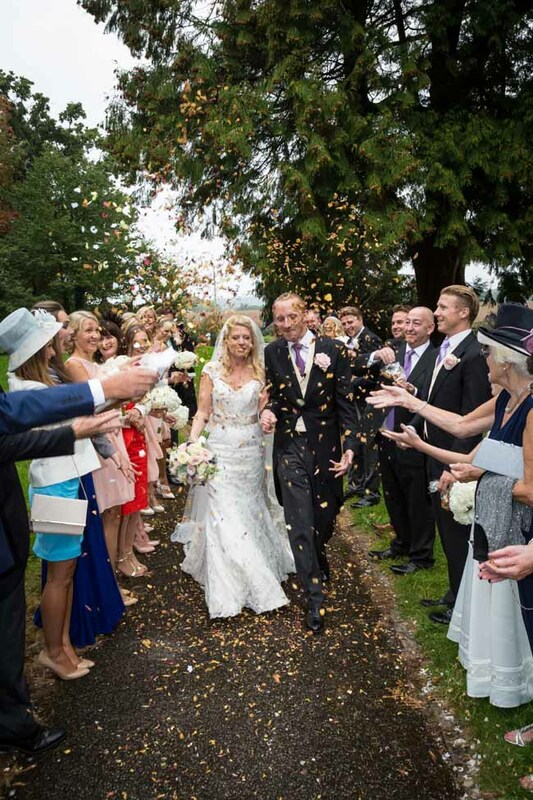 Grace and Alex chose the perfect setting of Birtsmorton Court for their September wedding. 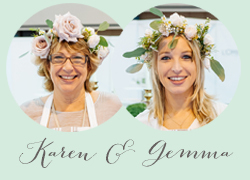 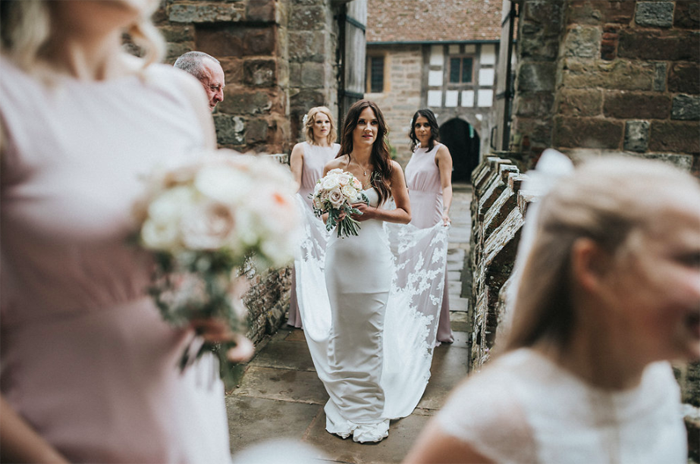 As Grace works in London we managed to catch up with her initially at the National Wedding Show and again for a consultation when she was visiting her family in Warwickshire. 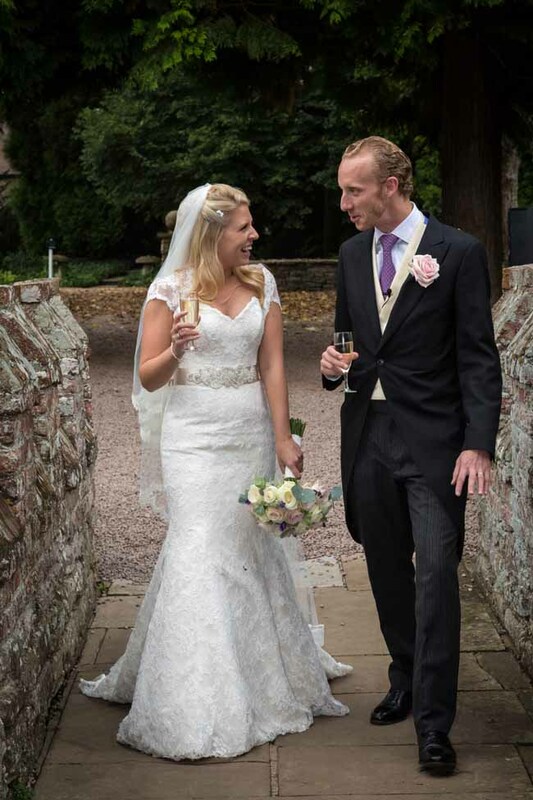 We discussed a classic country elegant look for her wedding, perfect for the setting at Birtsmorton. 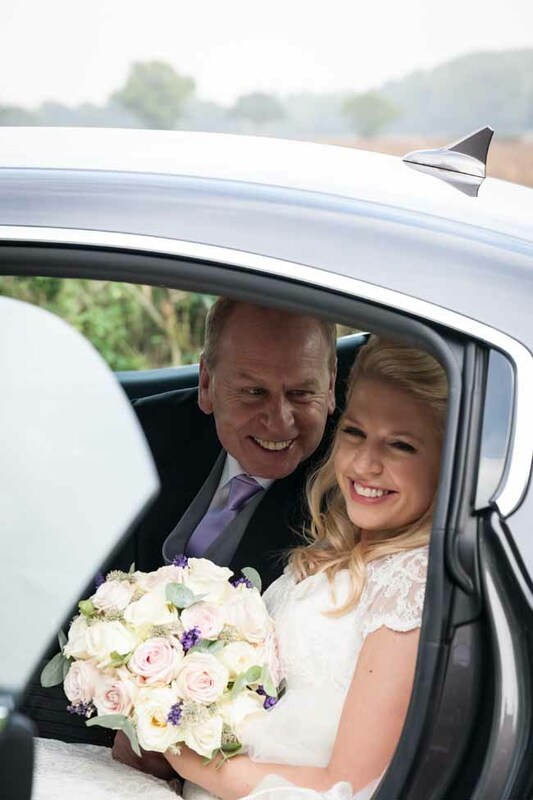 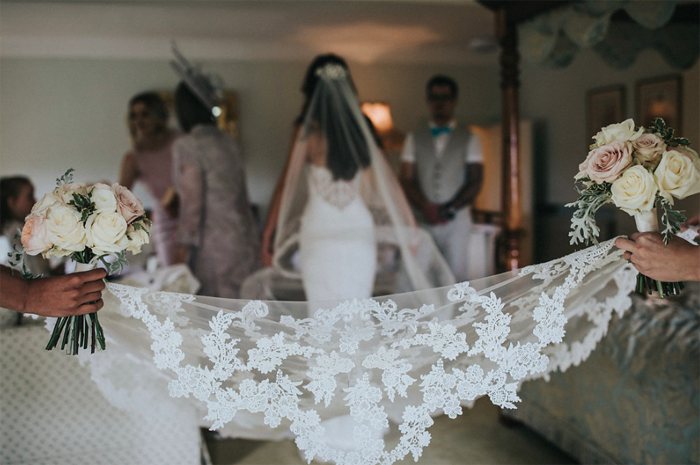 Flowers we highlighted for the bouquet included blush pink sweet avalanche and cream avalanche with snippets of lavender, foliage and astrantia, lace was incorporated to finish the bouquet which looked wonderful with her Suzanne Neville dress. 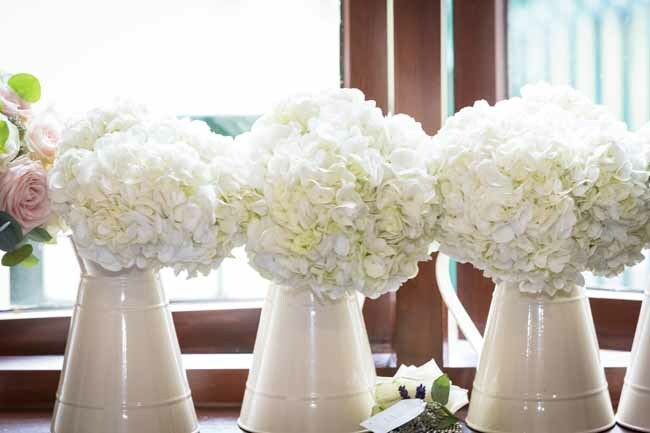 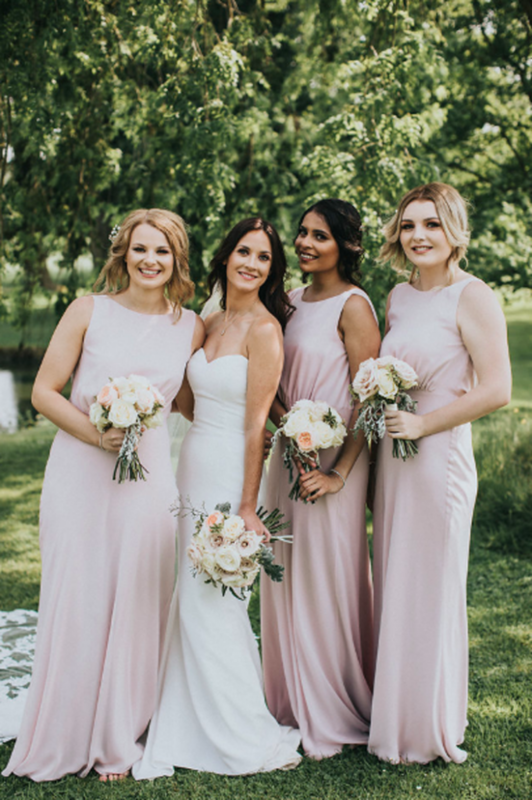 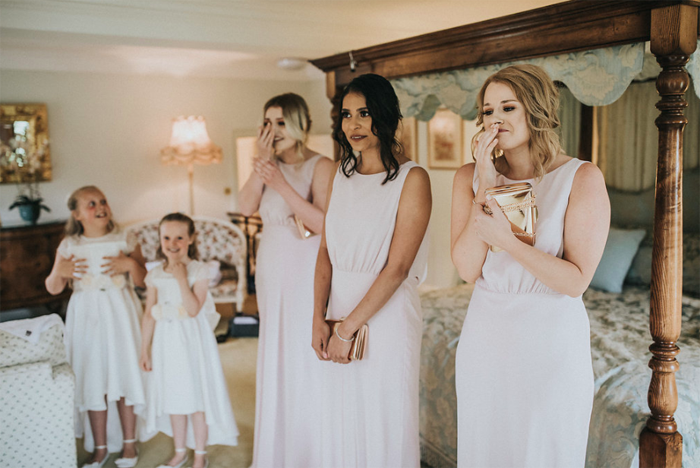 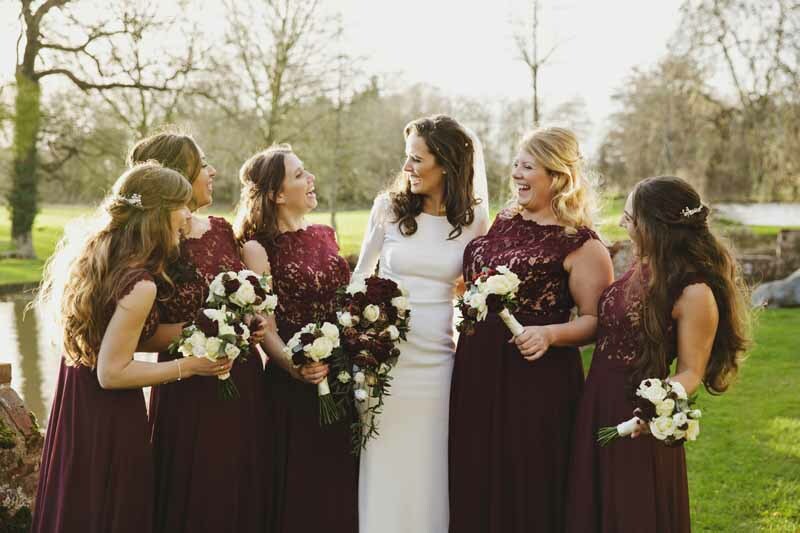 The 5 bridesmaids carried white hydrangea bouquets perfect with their blush pink dresses. 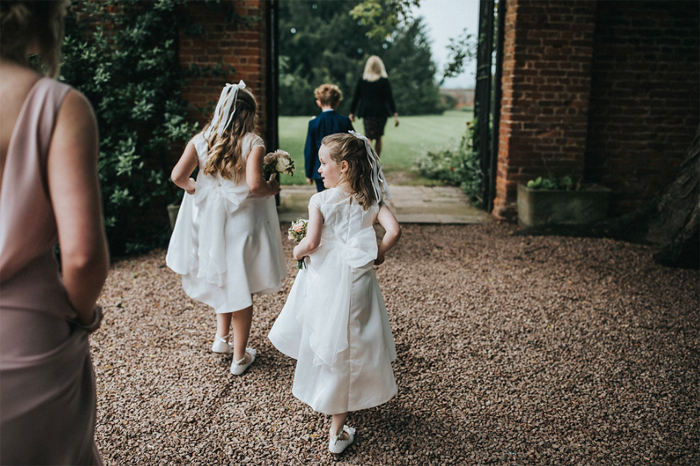 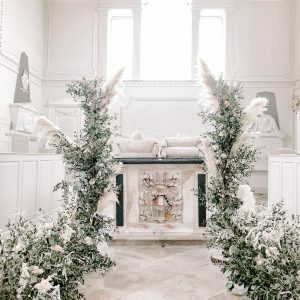 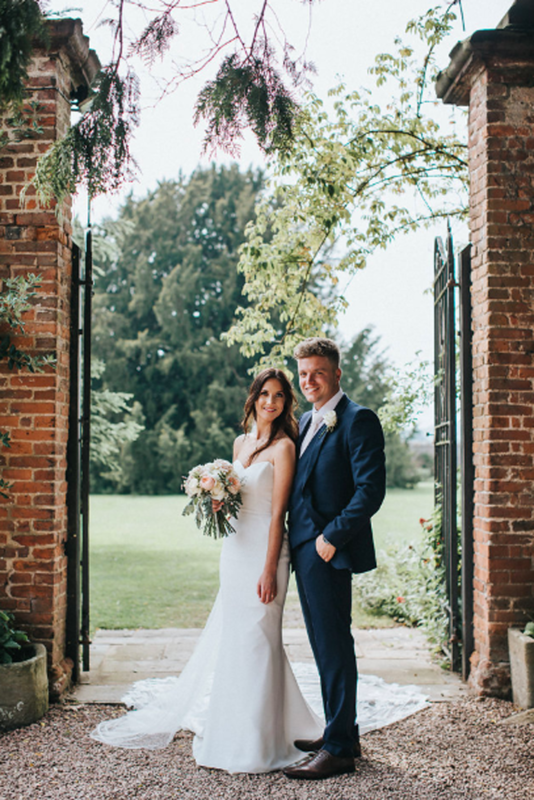 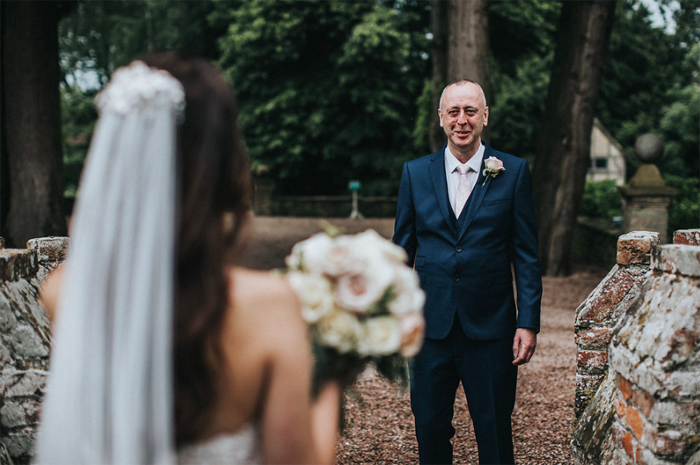 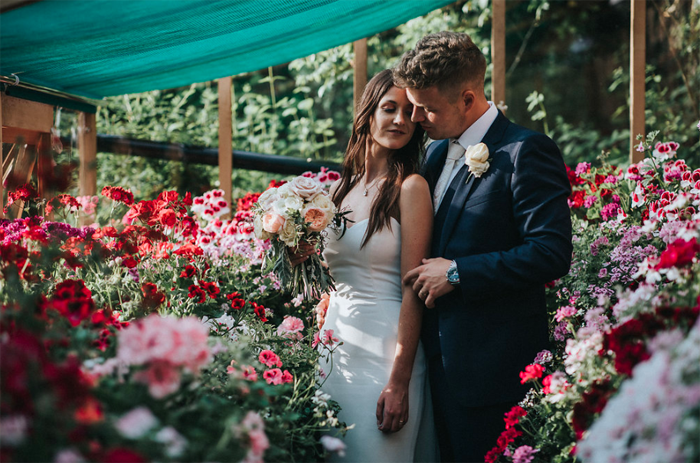 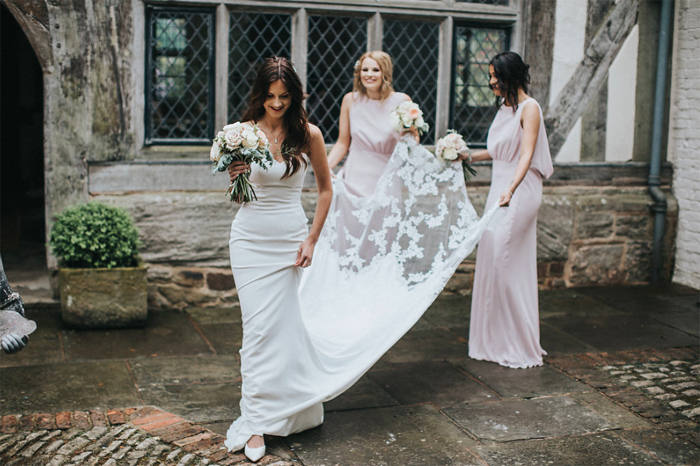 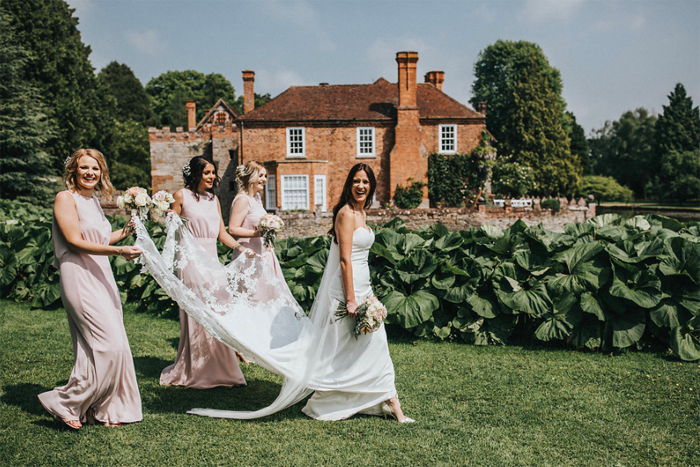 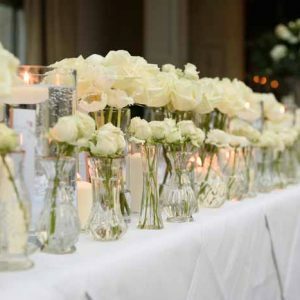 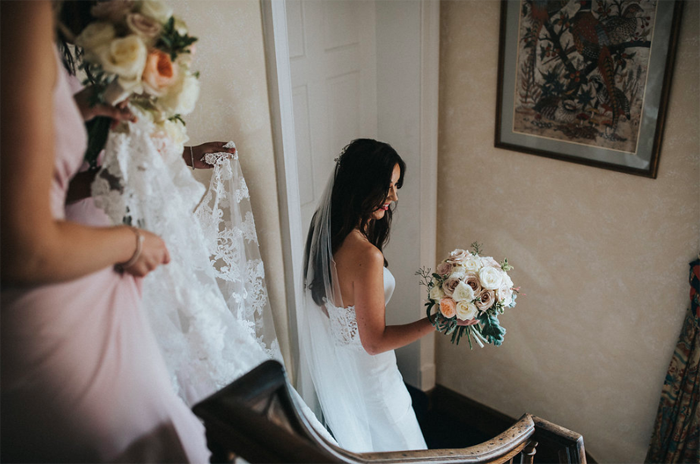 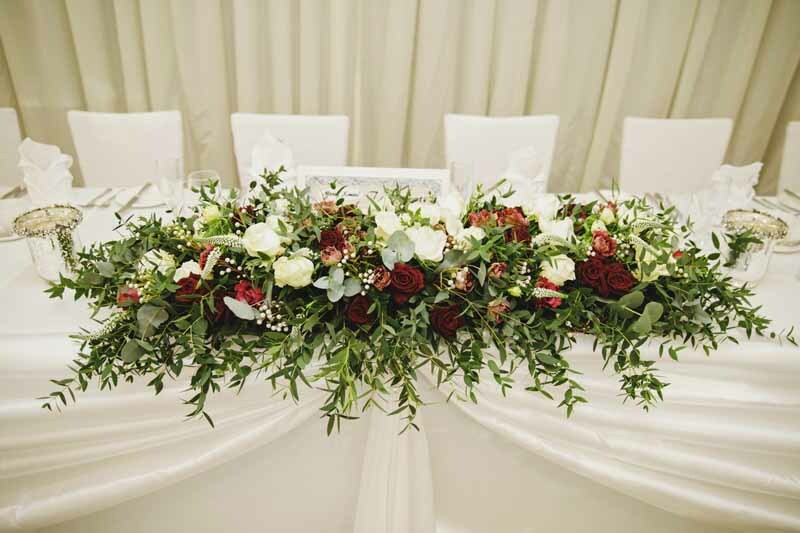 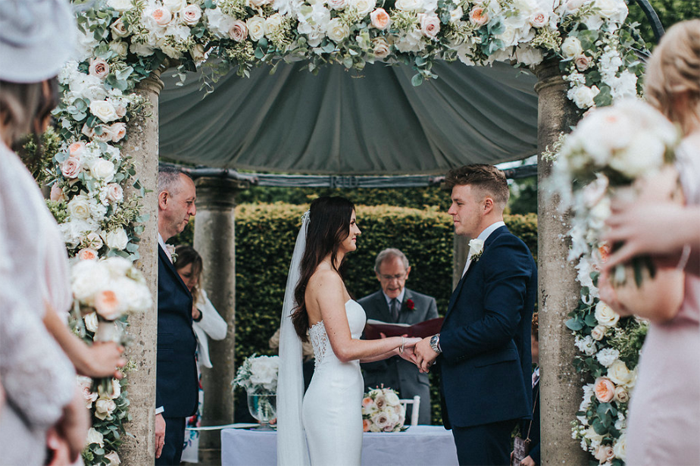 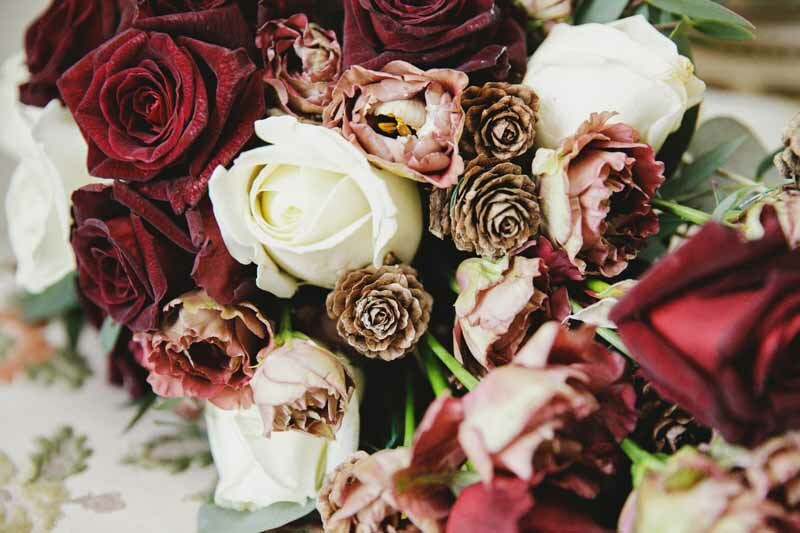 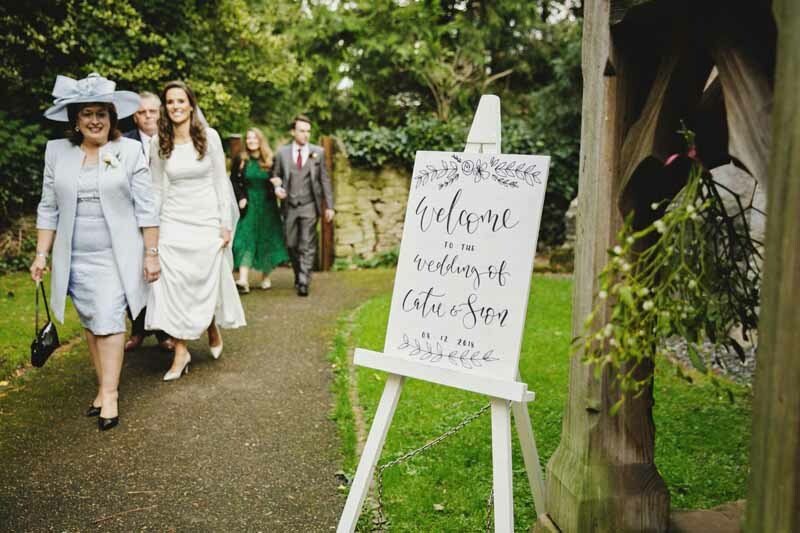 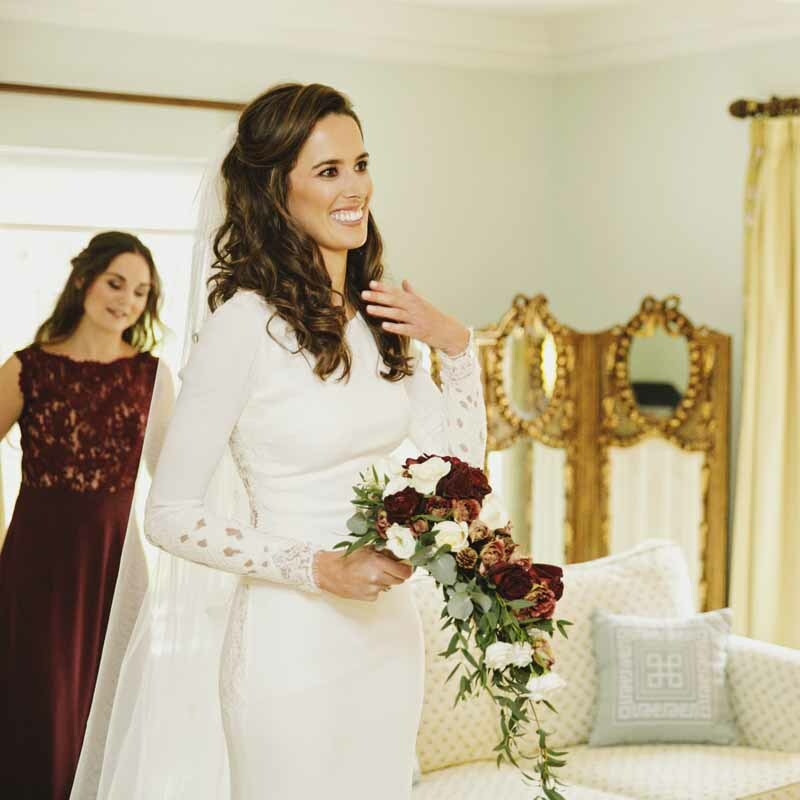 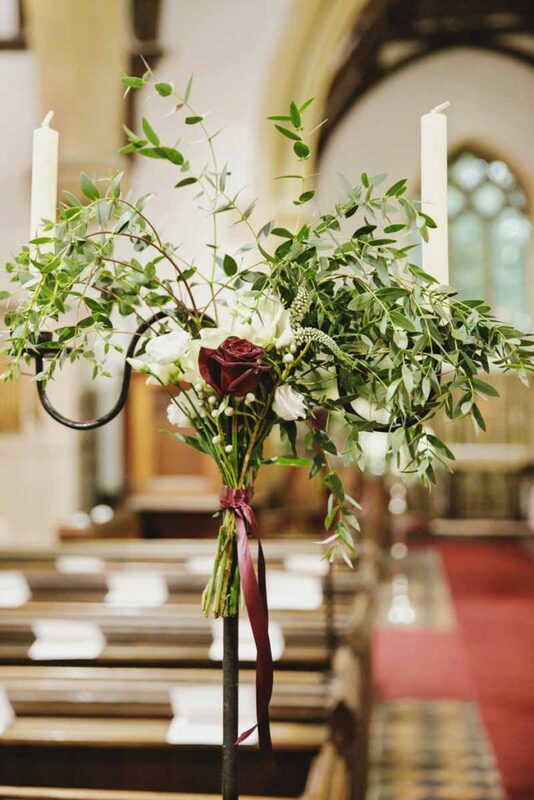 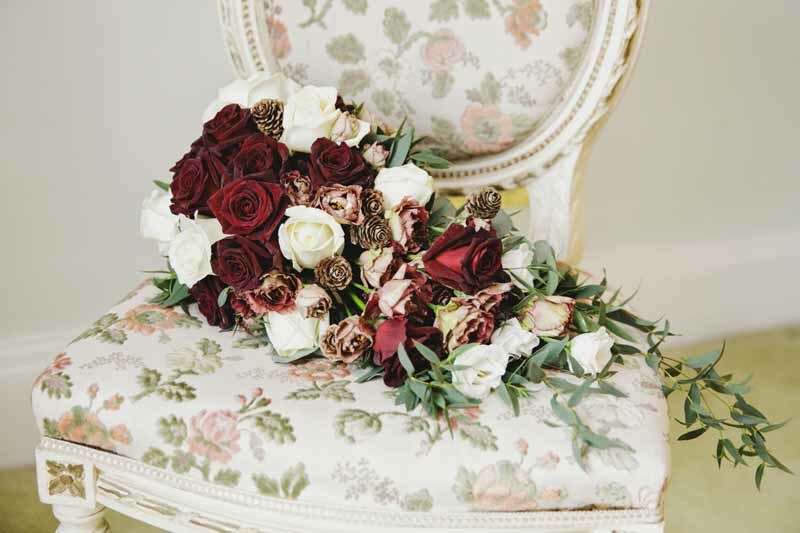 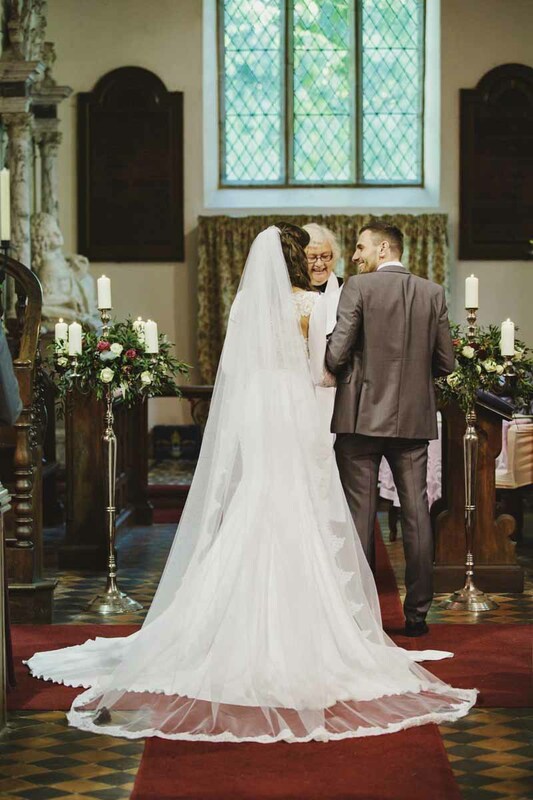 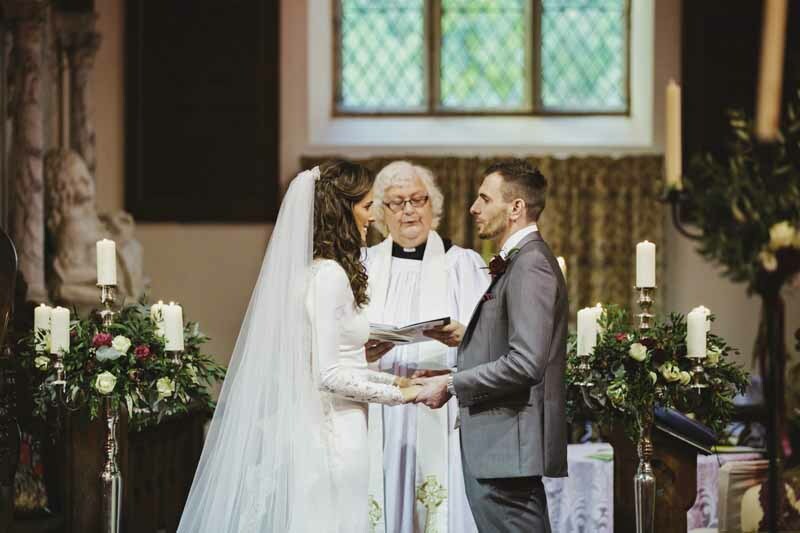 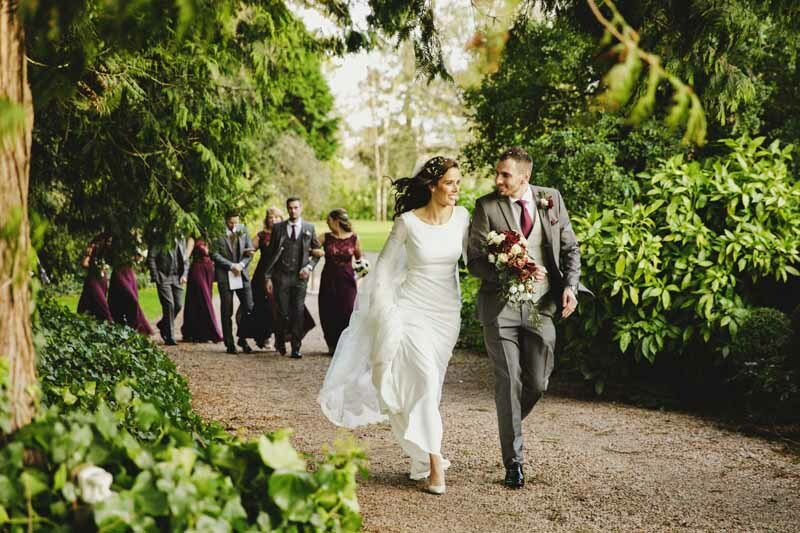 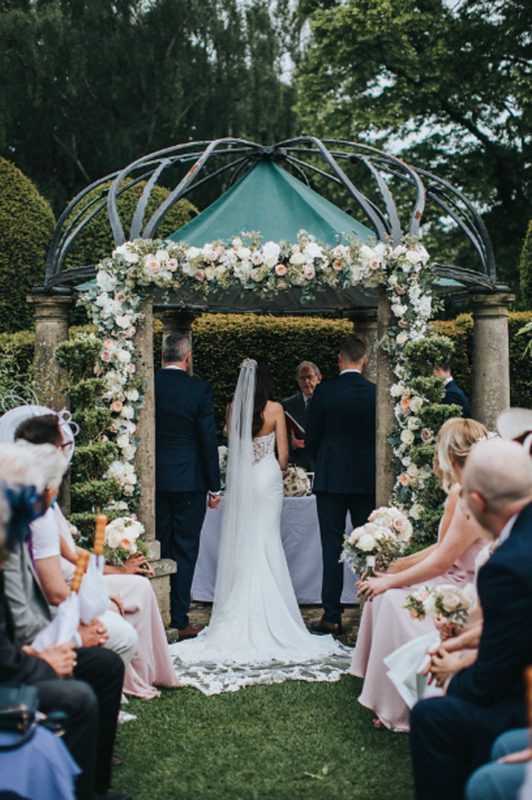 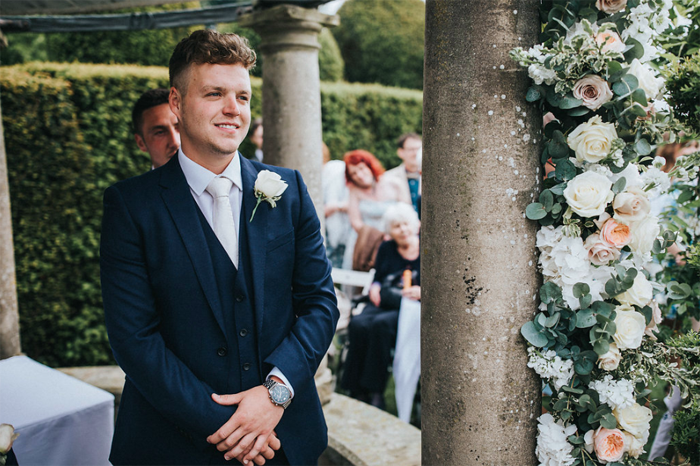 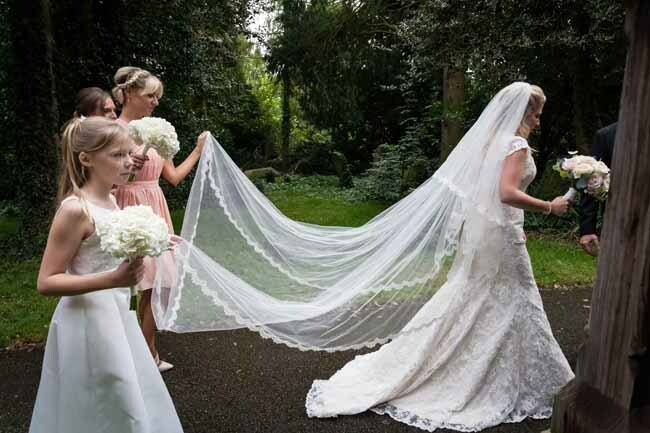 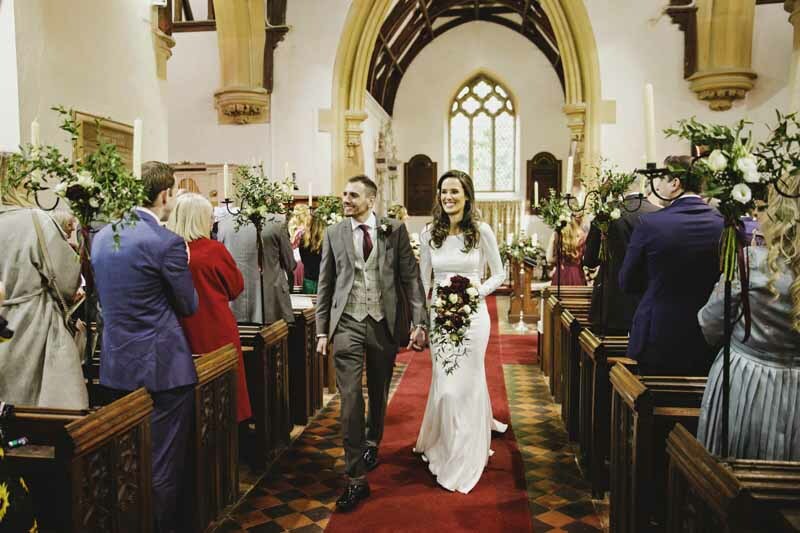 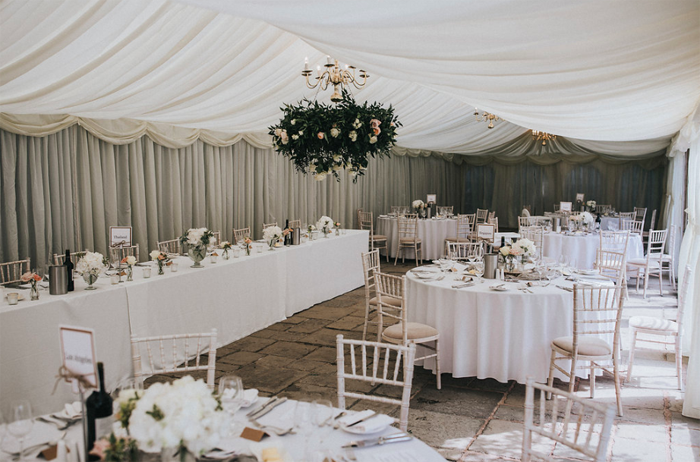 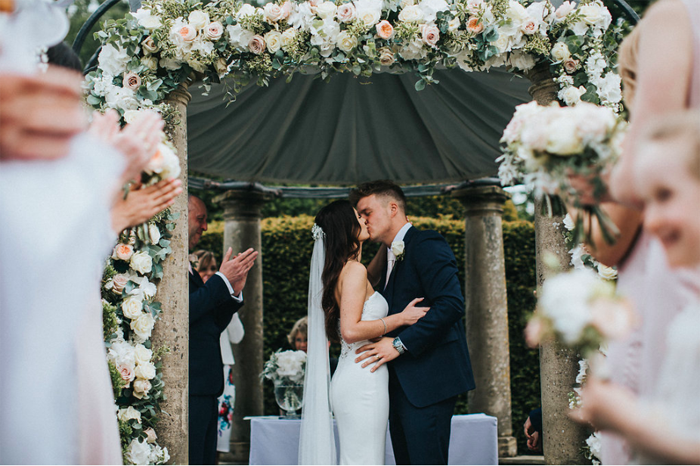 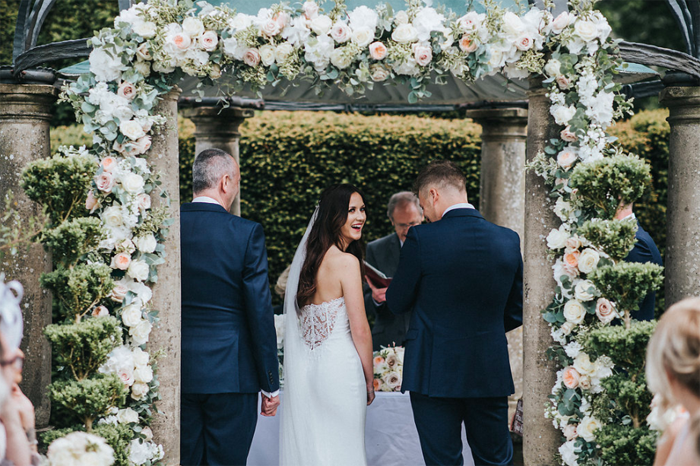 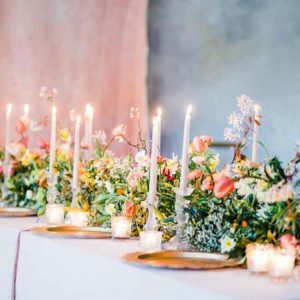 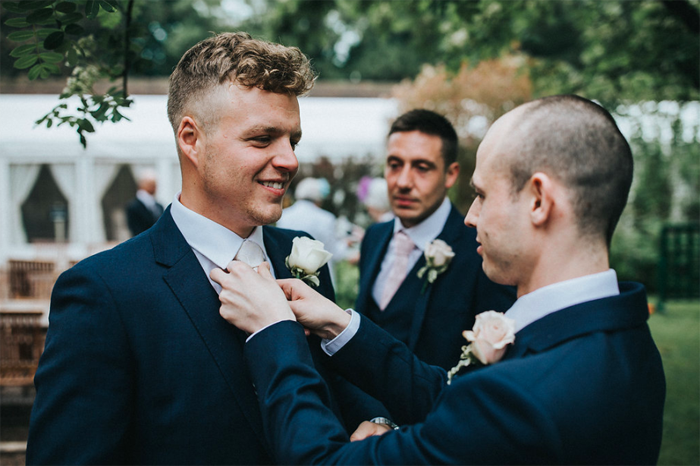 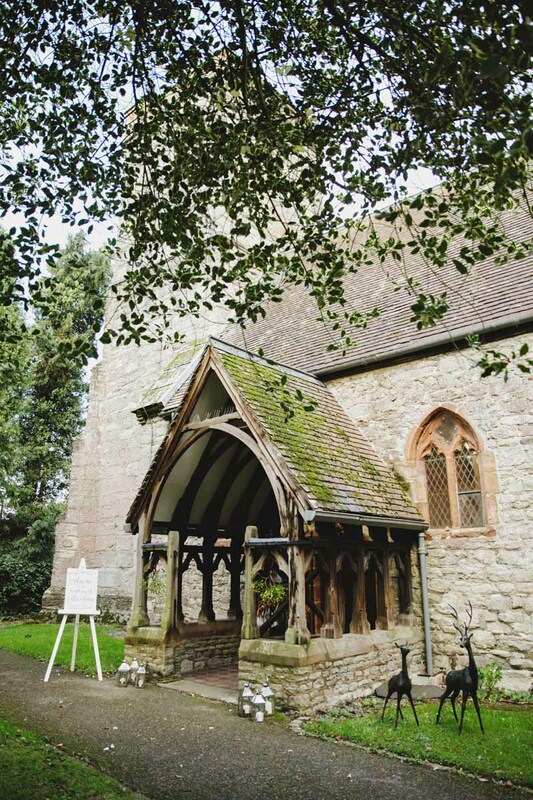 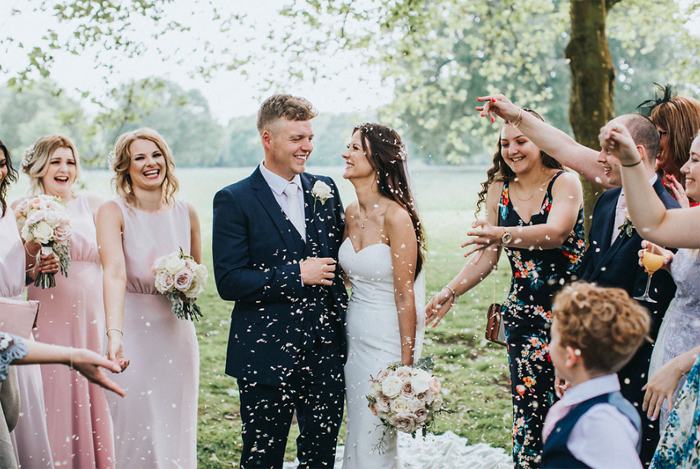 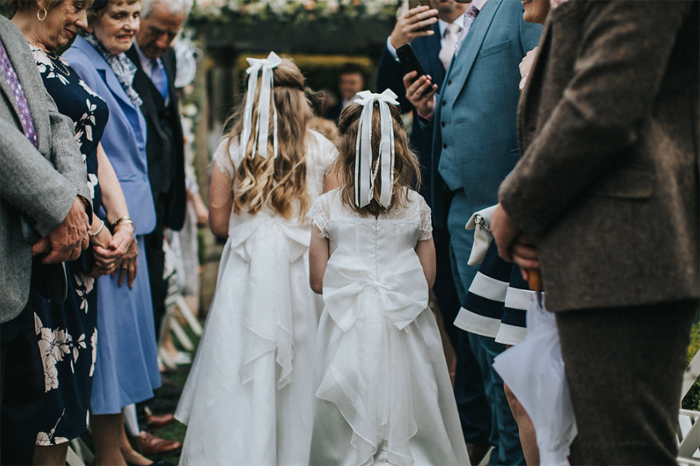 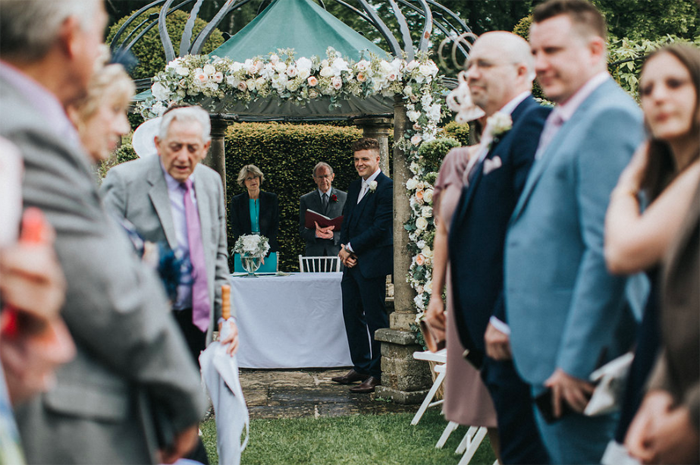 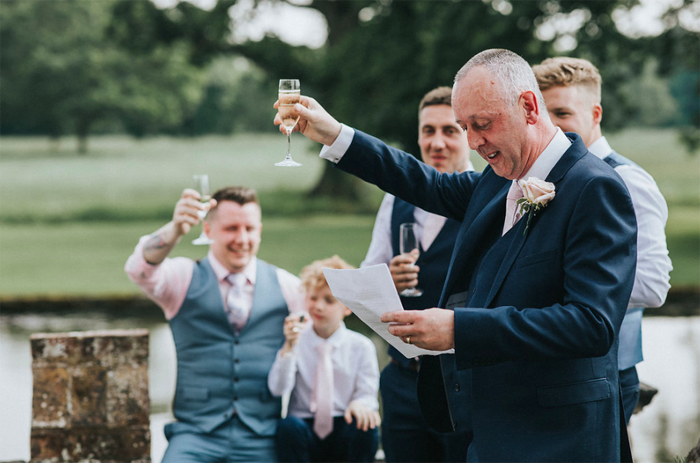 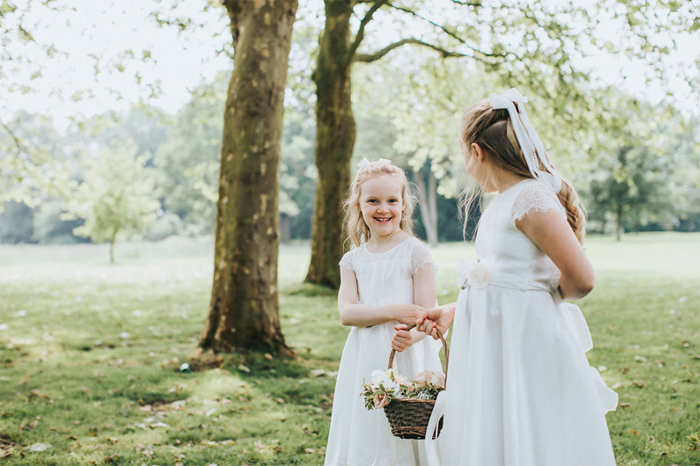 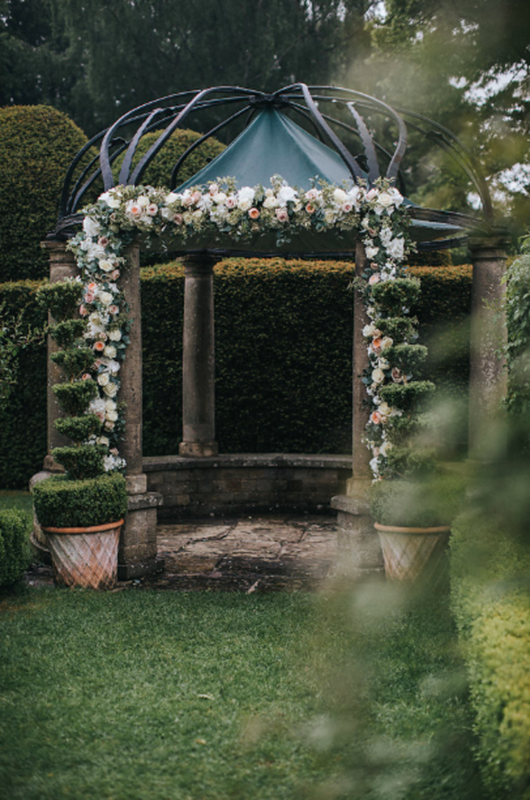 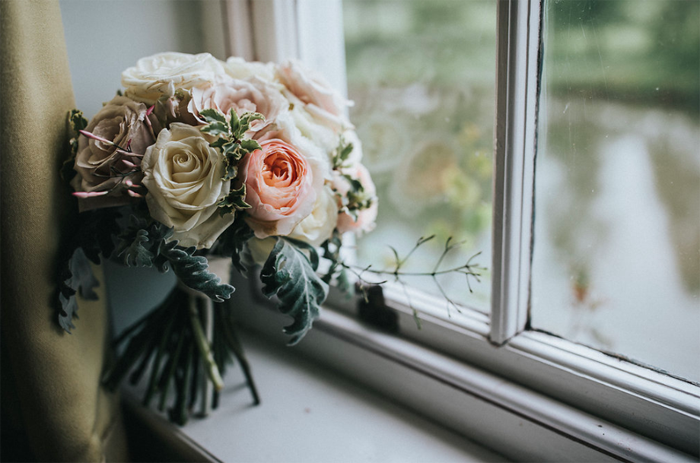 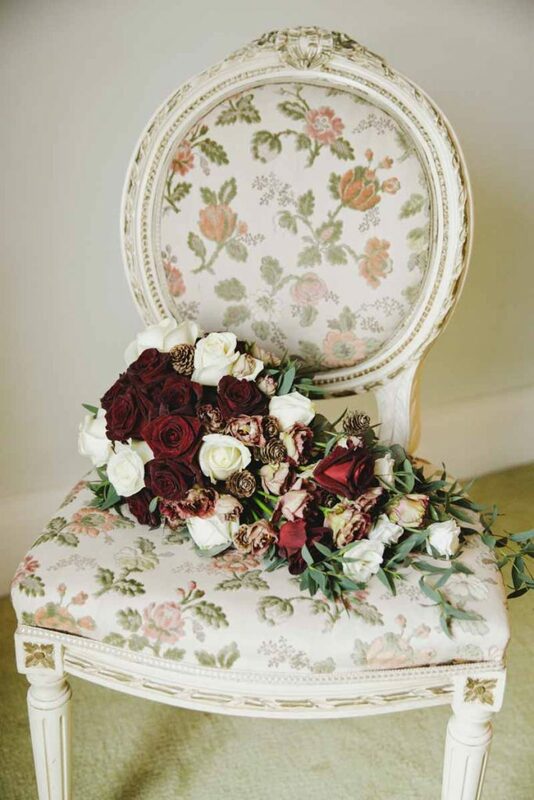 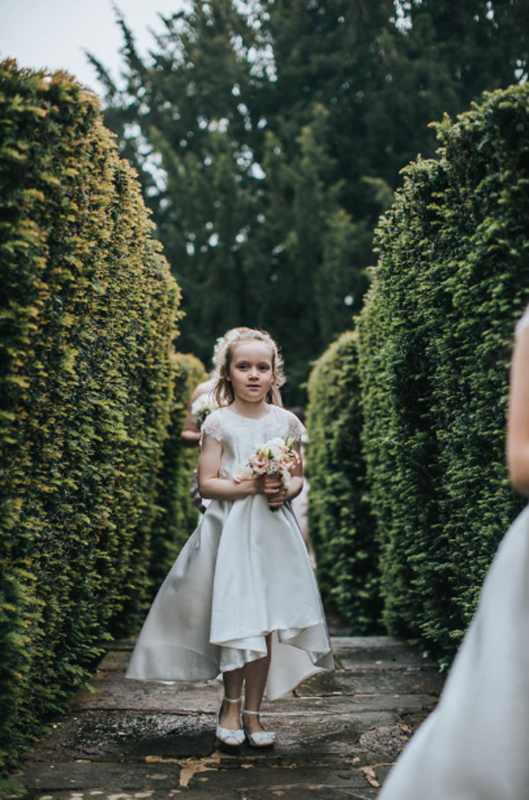 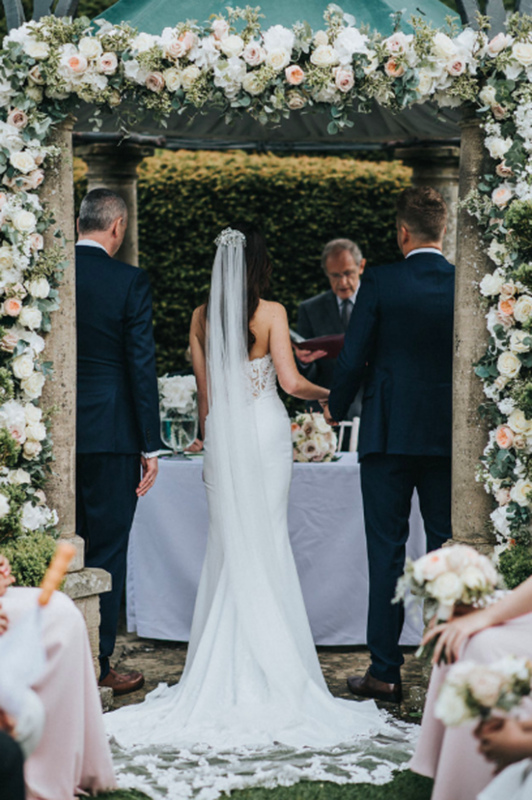 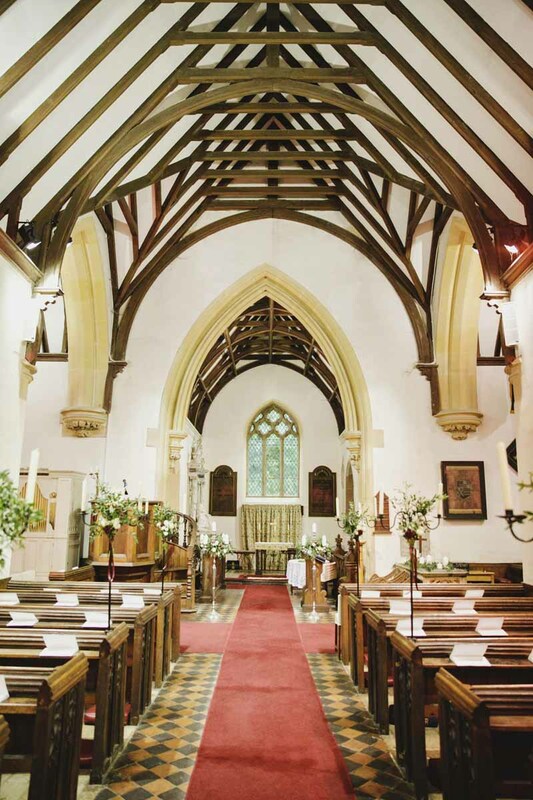 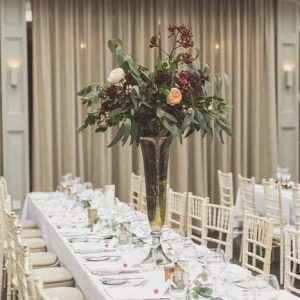 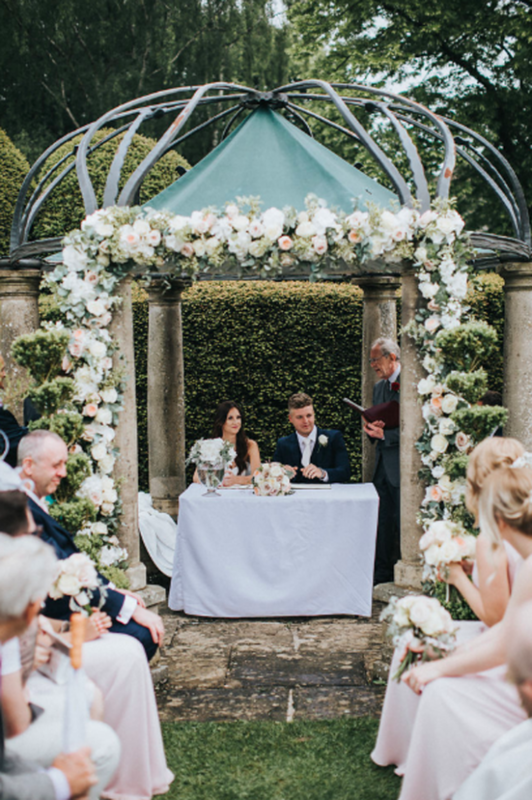 At Passion for Flowers we love creating Birtsmorton Court wedding flowers.The intimate church and gorgeous gardens at Birtsmorton Court offer couples an amazing location for their wedding.There are so many places to capture memories on your wedding day. 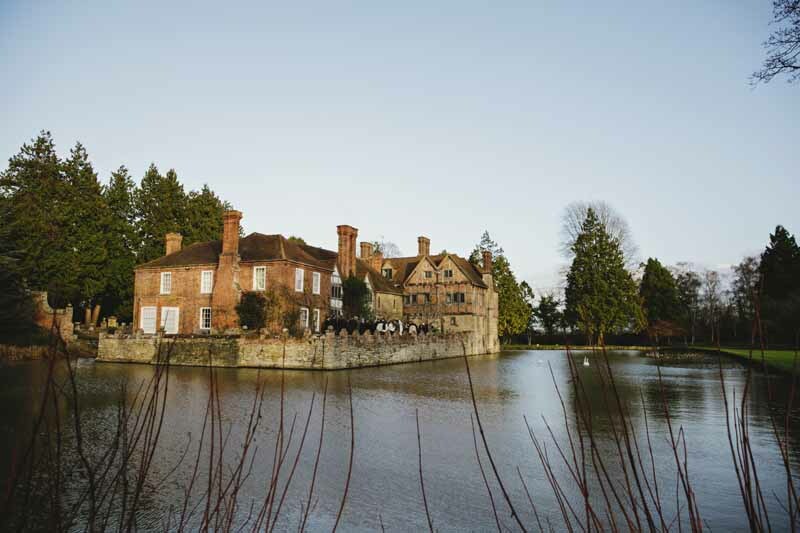 I just love the image of the house and terrace reflected in the moat. 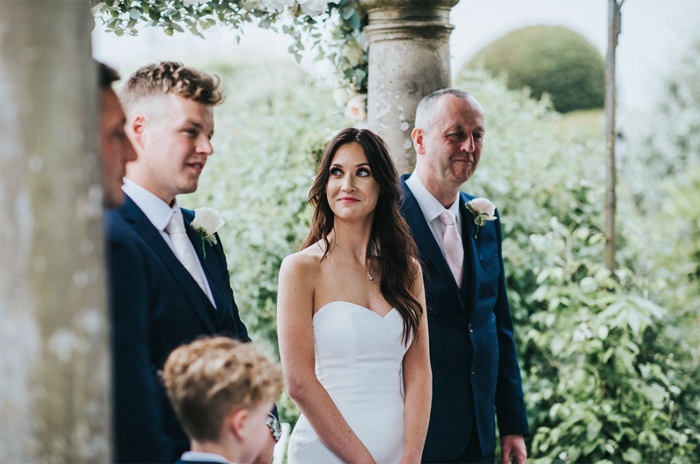 I was thrilled to be part of Grace and Alex’s wedding day as her lovely mum Liz had been part of my wedding day many years ago styling my hair on the day. 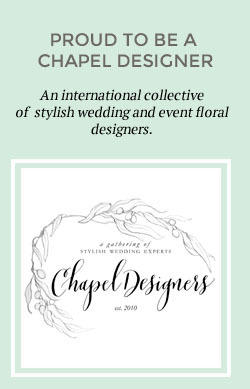 Such a small world as they had decided to book us not realising the link. 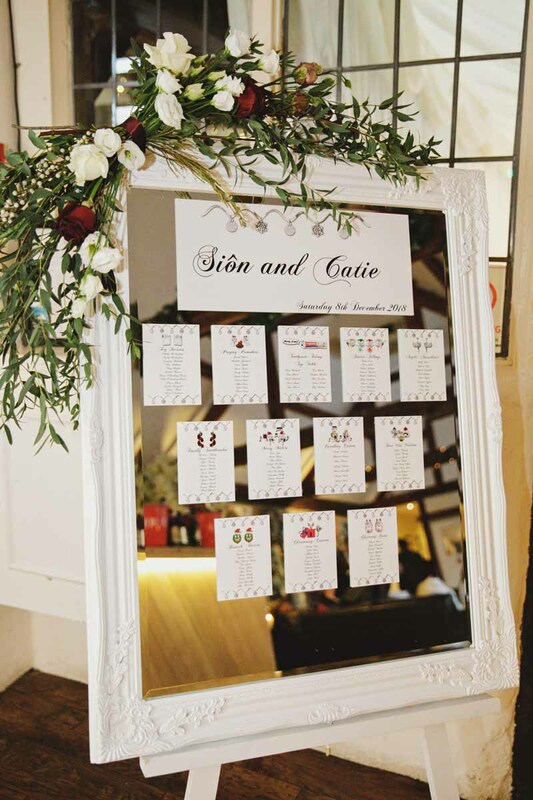 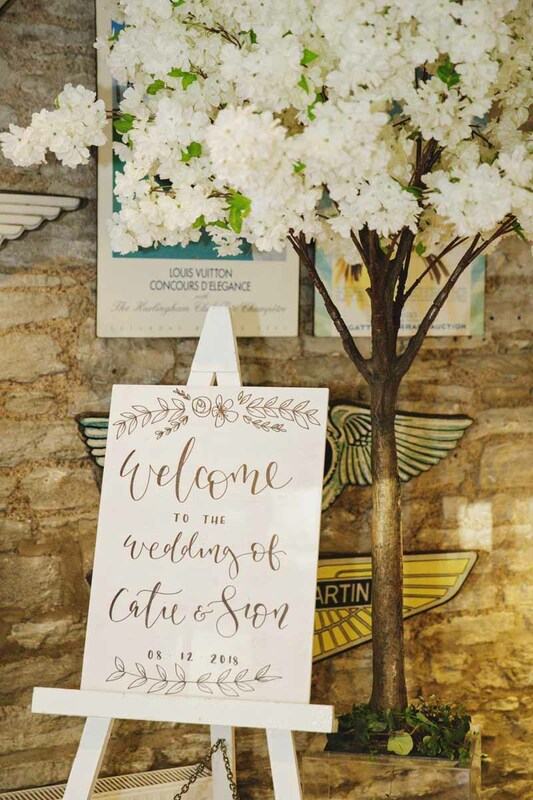 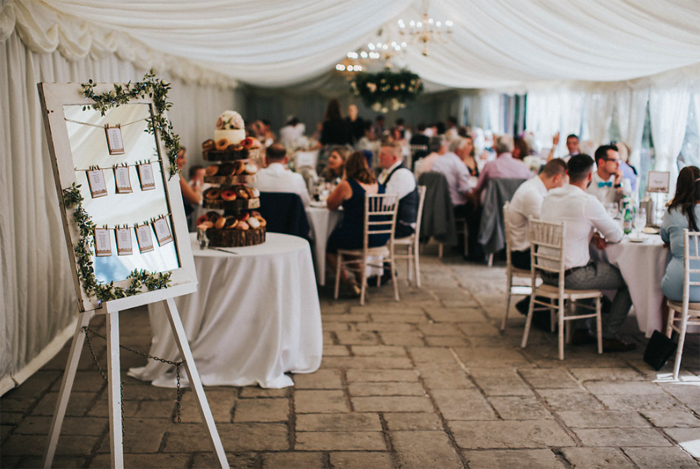 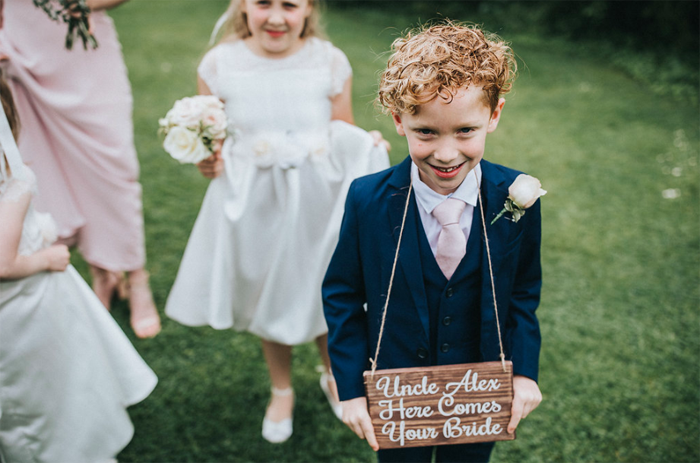 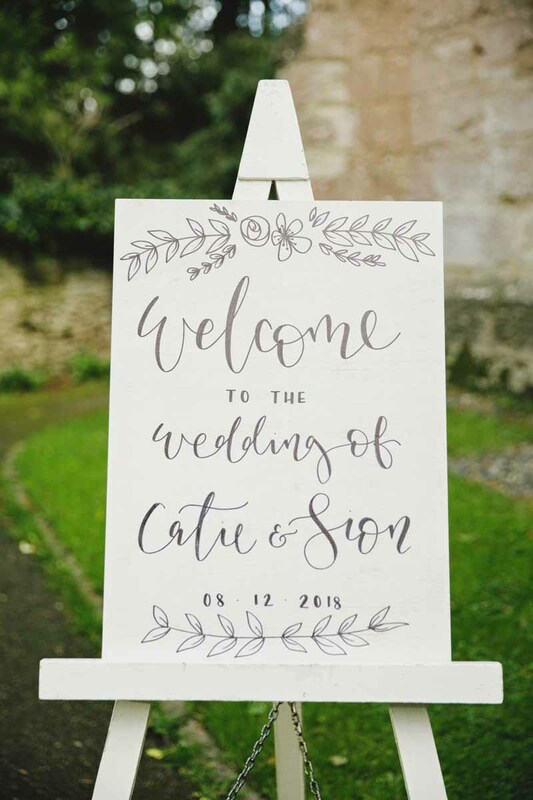 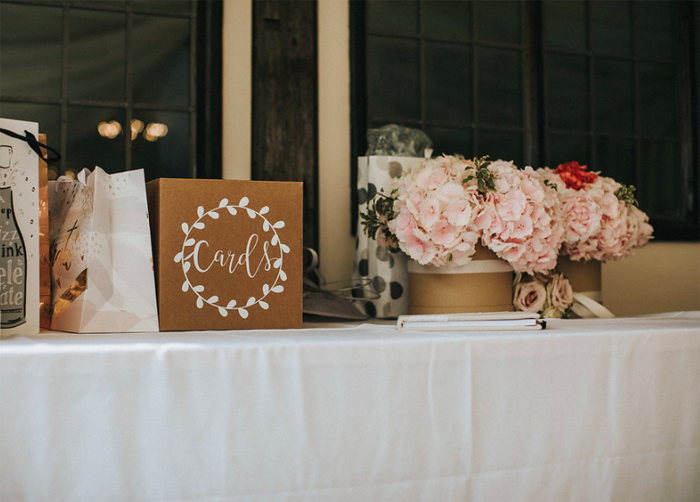 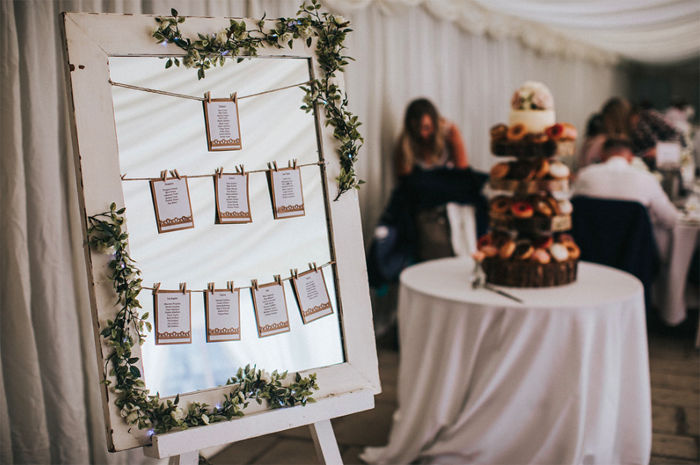 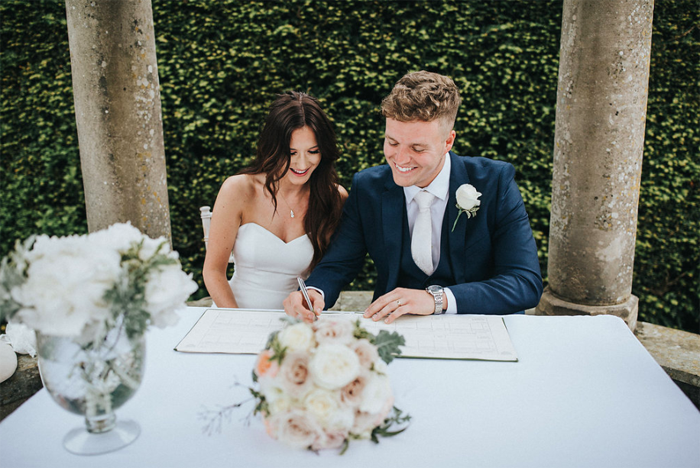 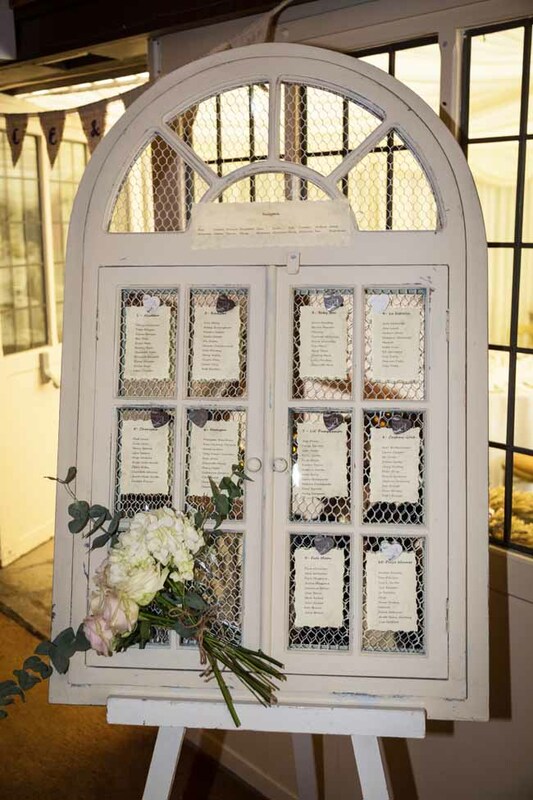 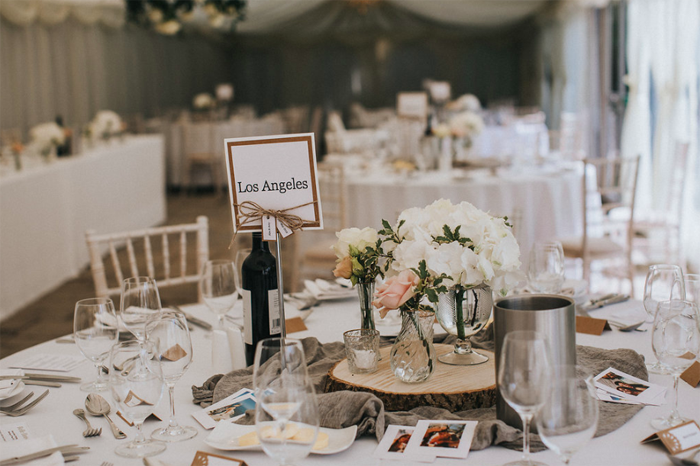 Grace was keen to personalise her wedding day and we suggested incorporating our window shutter table plan to the entrance at Birtsmorton Court. 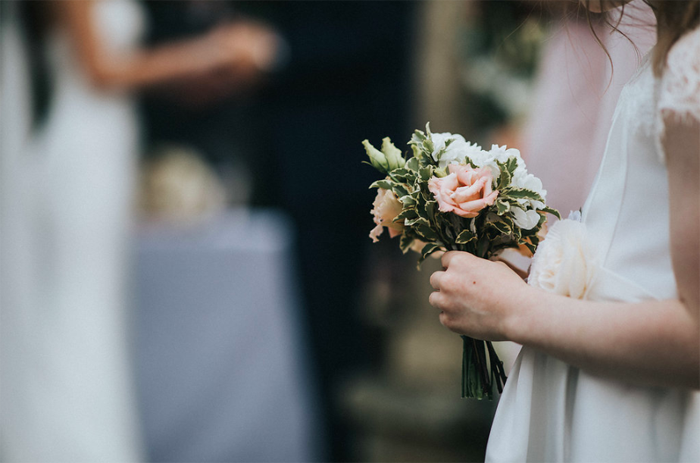 A handtied posy kept the colours running through the day. 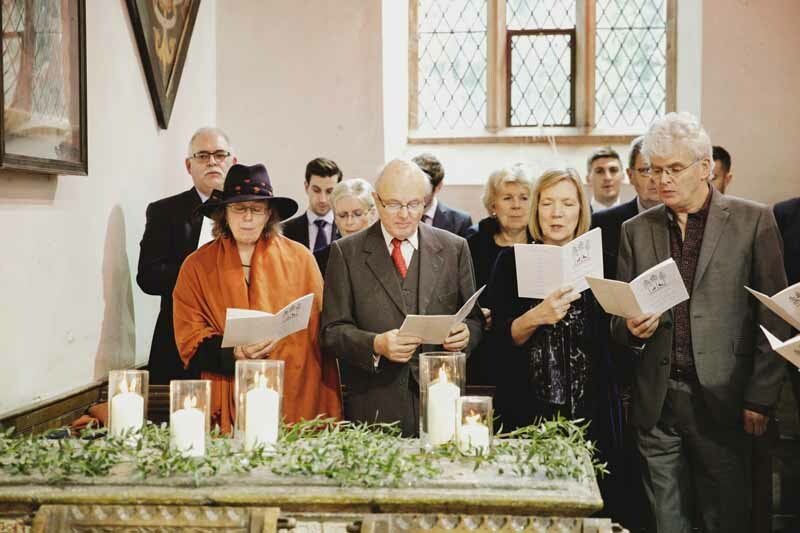 There were touches of lalvender around the venue and in the church. 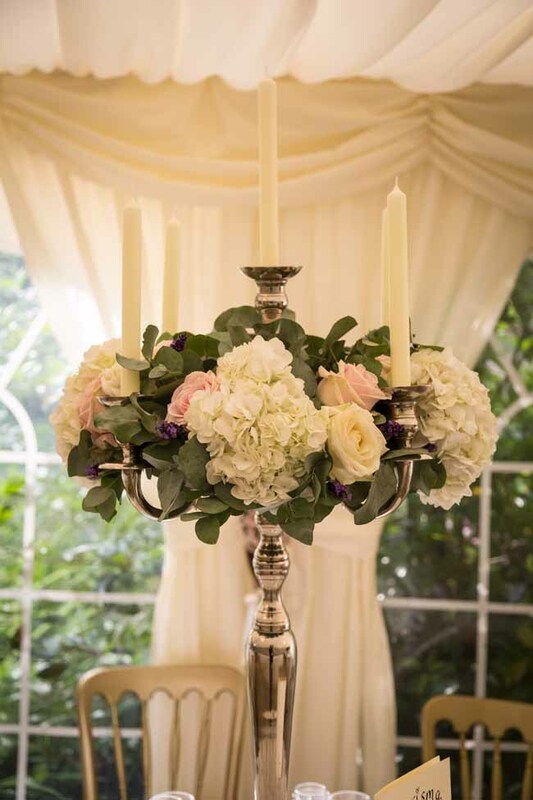 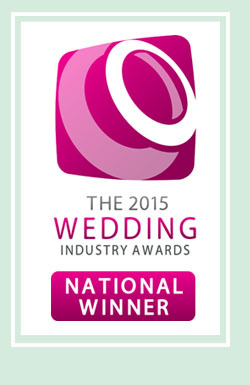 For the guest tables we created candelabra centrepieces with a soft mix of flowers including highlights of lavender. 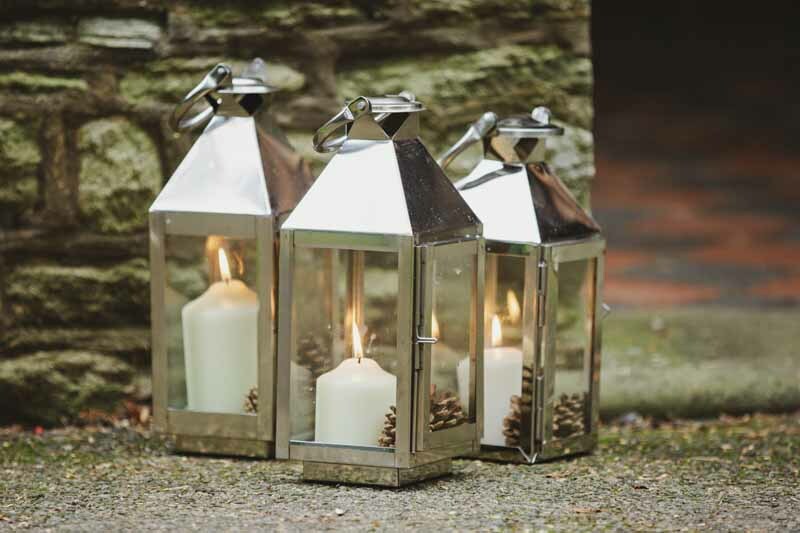 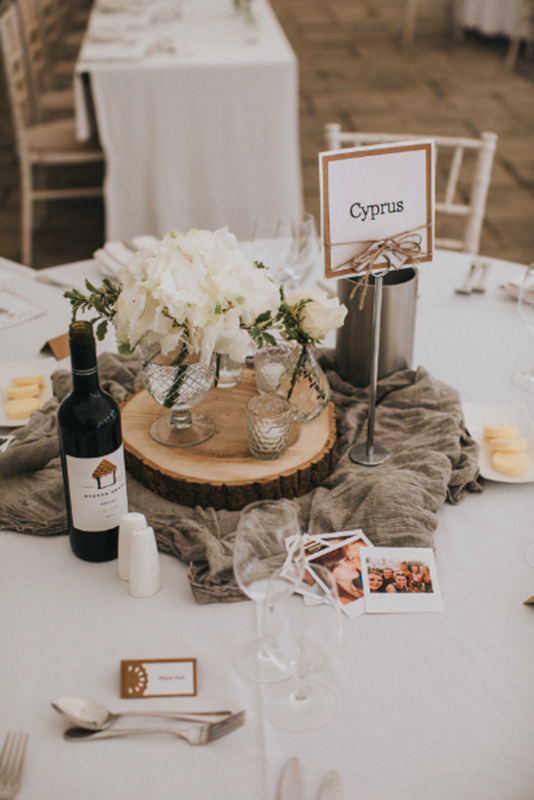 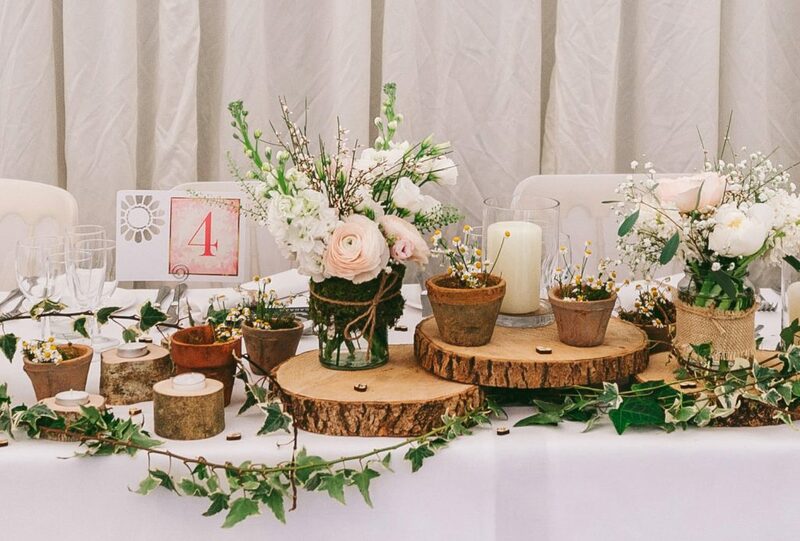 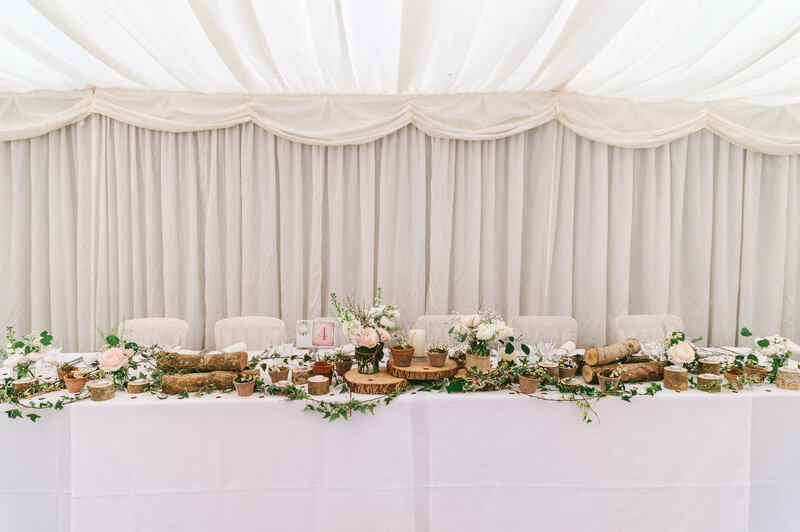 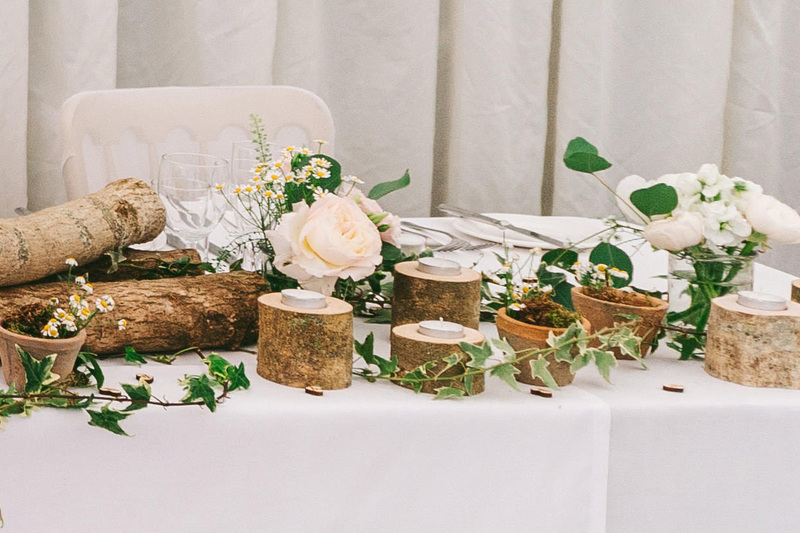 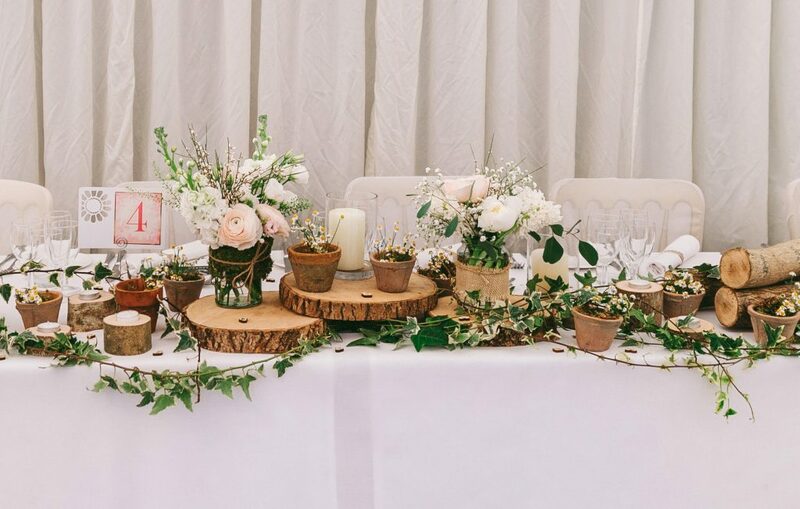 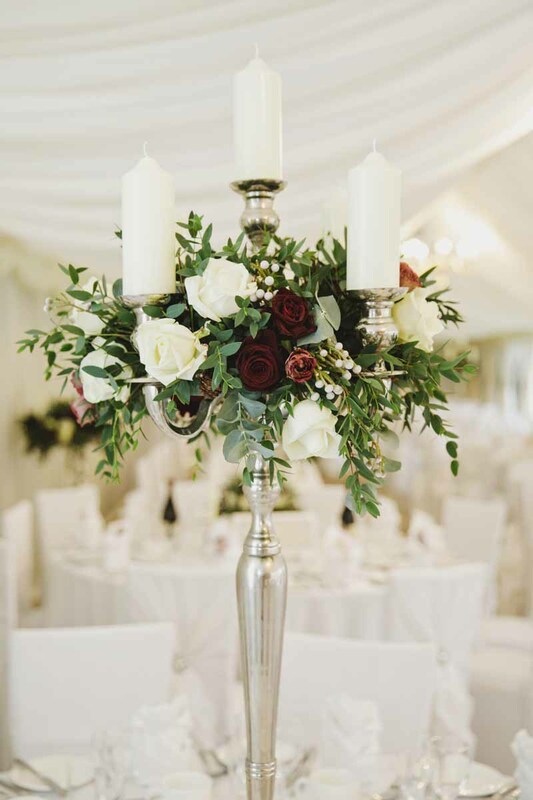 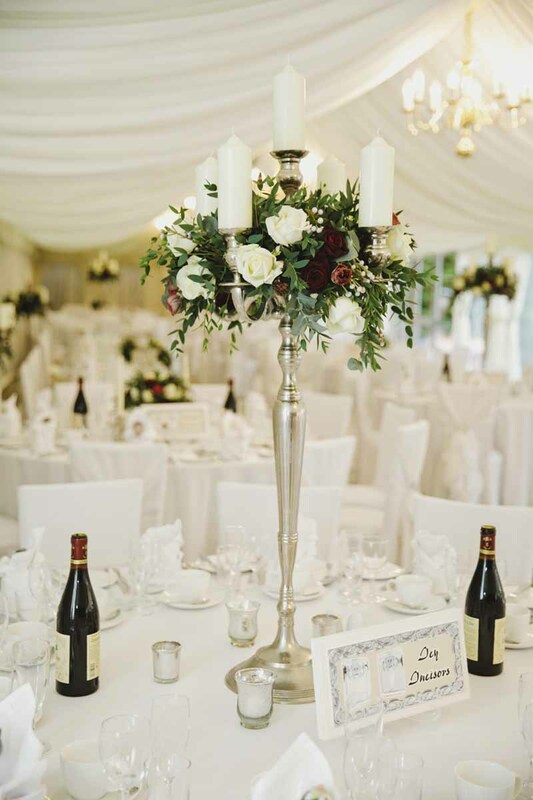 Grace also wanted us to include some more rustic styling to her day and so we added rustic groupings set on an antique silver tray with a mix of vases with candles and flowers with a selection of mercury tea lights. 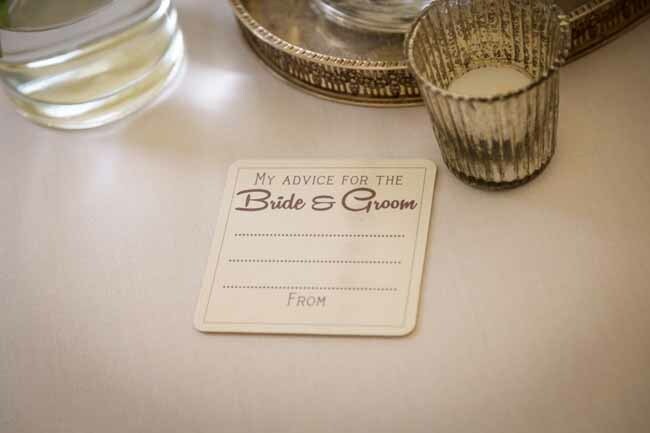 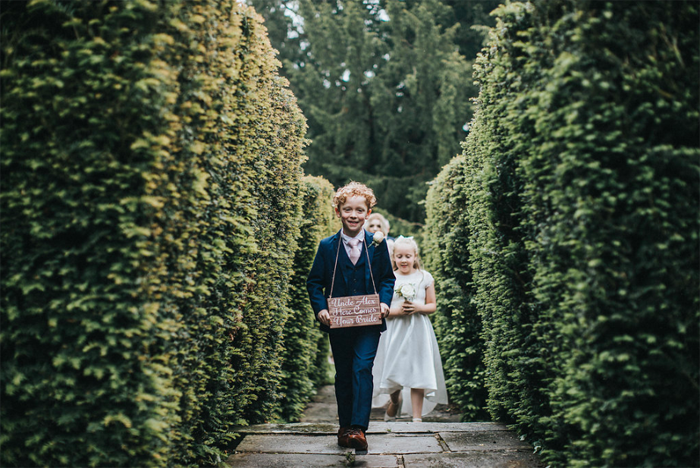 We had great fun sourcing a collection of the antique trays in the lead up to the wedding as we are always happy to add to our collection of styling props. 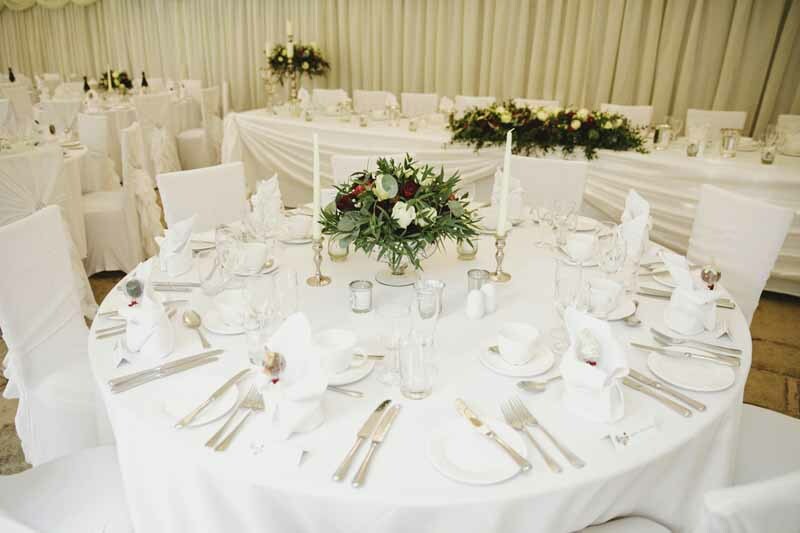 A long top table is always a chance to decorate with style and elegance. 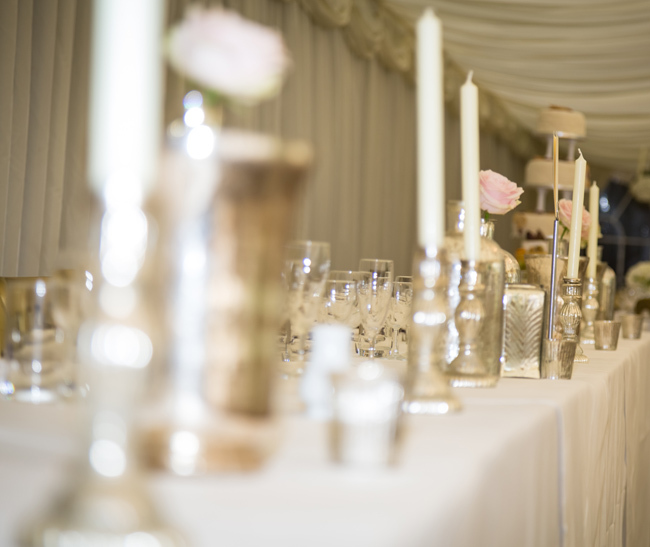 Mercury silver vases and candlesticks look elegant and added plenty of light to the table. 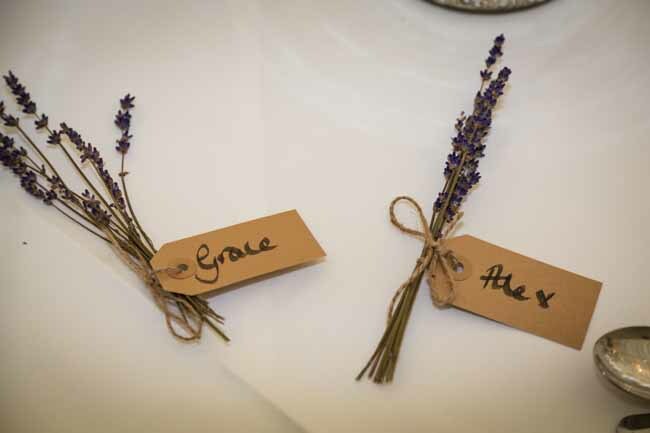 Grace had enlisted the help of her family to make the personal touches like the individual place settings, and pew ends. 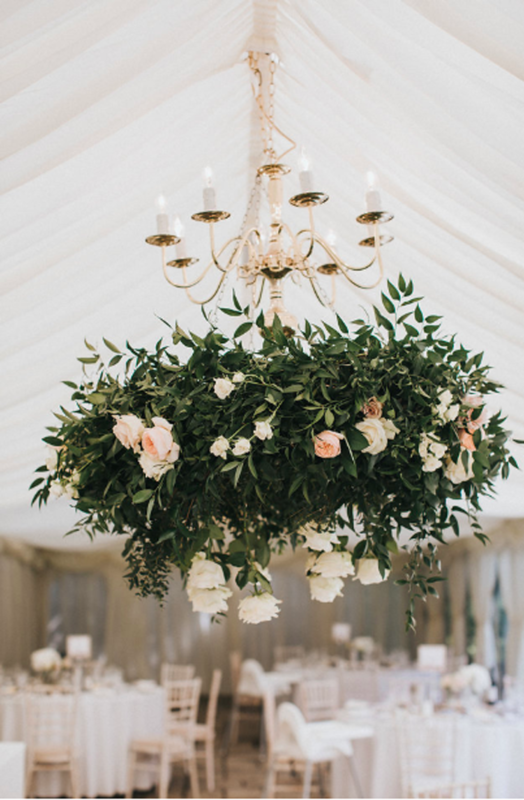 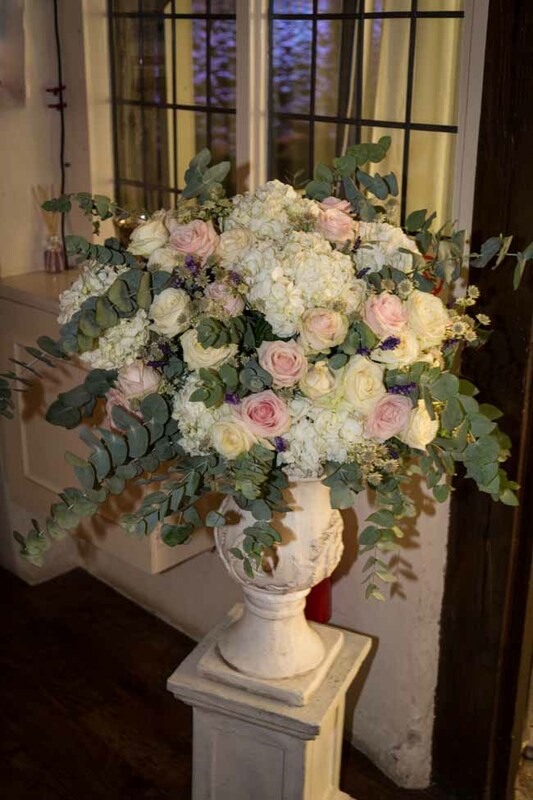 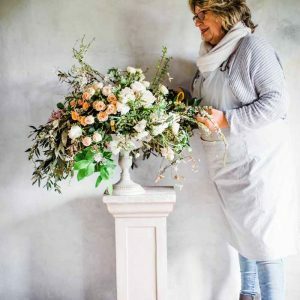 The statement urn of flowers finished off the look, we always suggest having some larger arrangements to set the tone of the day and offer a floral welcome for wedding guests. 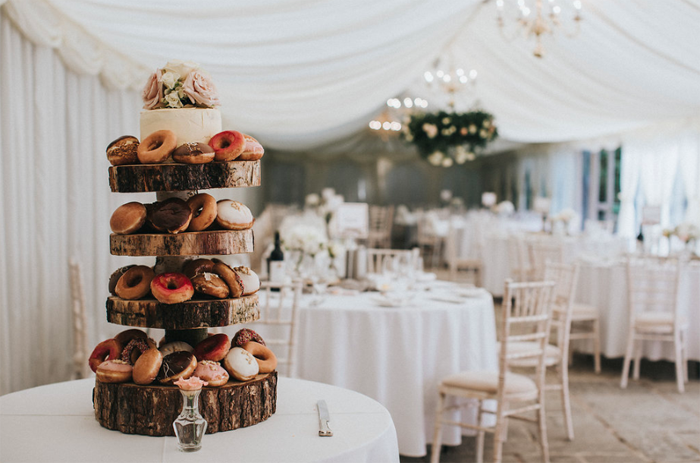 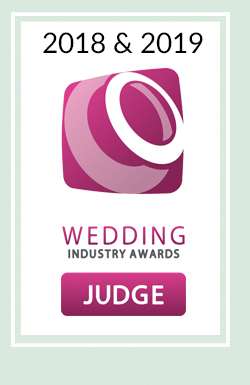 It is worth checking if these can be moved from the ceremony to the wedding breakfast room to be enjoyed later in the day.